Homeowners in St. Louis are no strangers to inclement weather, including snow and ice. Dealing with extreme weather patterns has taught St. Louisans the tell-tale signs of early foundation problems. Preventative maintenance is the key for a healthy home, including the foundation. Waterproof Solutions in the St. Louis area believes in taking proactive and preventative measures to ensure a healthy foundation, no matter what the weather. With winter being upon us, there are things we should consider about snow and the correlation of foundation damage. Water is the number one home foundation destroyer? Snow and ice turn to water, so guess what? Snow piles are just stacks of frozen water waiting to seep inside your home. Yes, it can be damaging to your foundation. 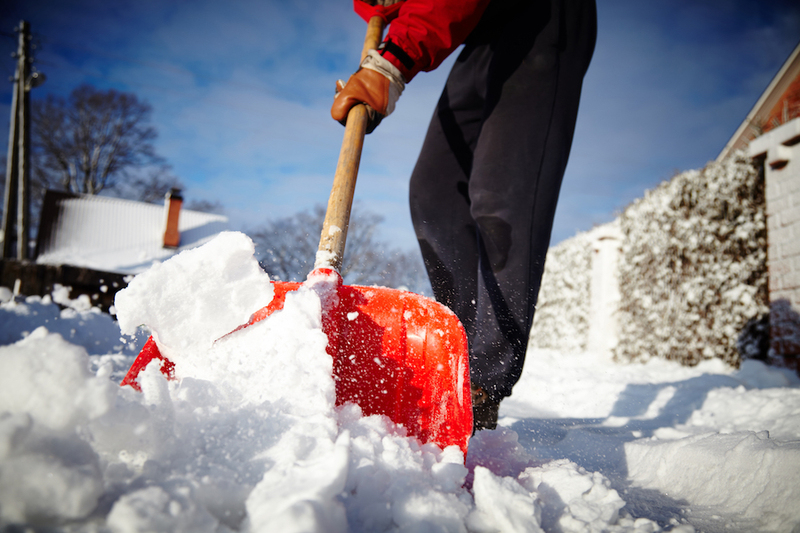 Early and fast removal of accumulating snow around your home’s foundation will prevent cracking and leakage from excess water run-off as the snow and ice melts. If the snow and ice are allowed to accumulate around your home, it eventually will melt, and turn to water looking for a place to go. This extra water has nowhere to go except into the soil around your home. If the water is excessive, the pressure can cause damage to the foundation and seep into the walls causing cracks or breaks in your foundation. You may even notice that your foundation walls begin to bow. All of this can be caused from excess water around your foundation. Just a little preventative maintenance can go a long way in saving your homes foundation. Whether you blow the snow, shovel or use it to build a snowman, the result is the same. Removing the snow from around your foundation will prevent the excess water run-off and might just save the foundation of your home from damage. Ideally, before the weather becomes bad, you can have a professional inspection of your foundation and basement walls to make sure there are no areas of compromise. Just as you would winterize the inside basement of your home, you would also want to make sure the outside was able to withstand the ravages of a cold, wet, harsh winter. Waterproof Solutions can offer suggestions for keeping your home and its foundation is good repair. Basement and foundation inspections can make you aware of any problems that might be beginning to show before they become major issues. By doing these things, you can make sure that the foundation of your home will not be compromised or damaged from snow build up and melting around your foundation.